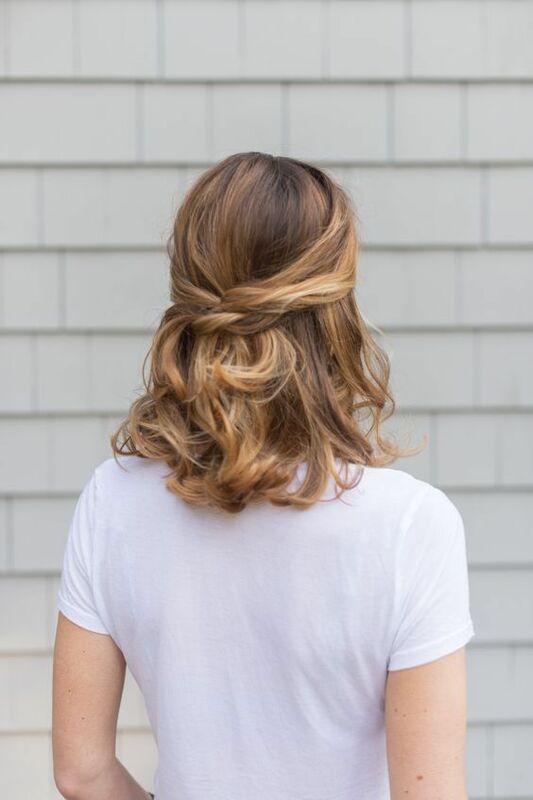 Medium length hair is a last year and this year trend, every girl is rocking it with balayage and messy styling – this is a hot trend. 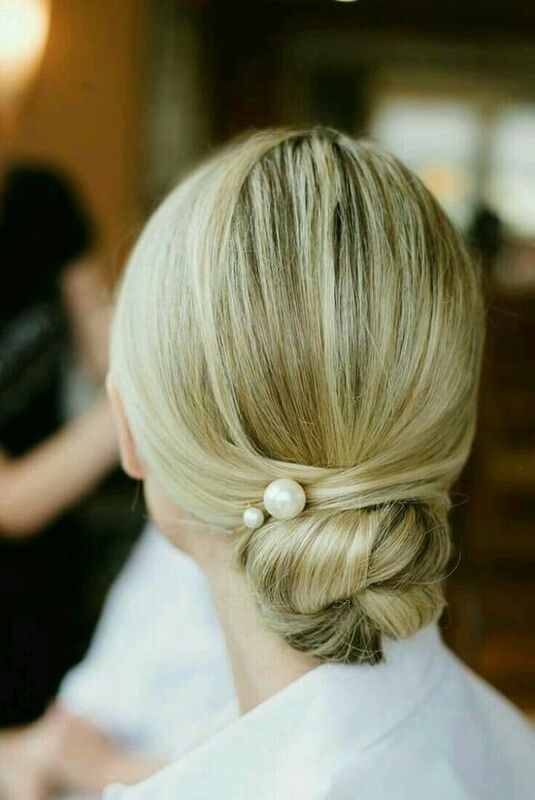 But what if then you are invited to a wedding and need some proper hairstyle? 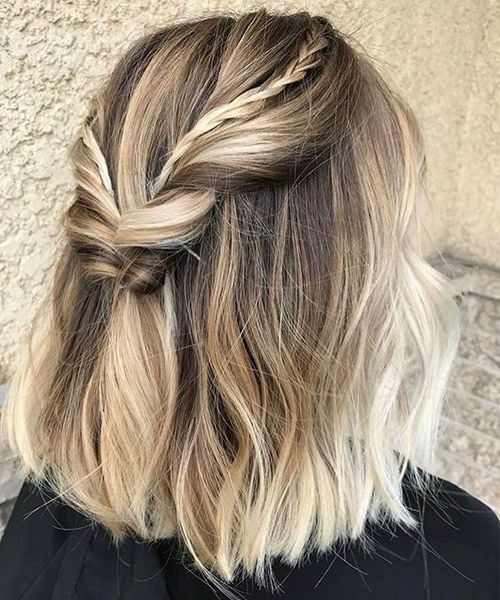 Let’s be honest: long hair is comfier to make various hairstyles and there are more options but medium length hair isn’t a problem either! 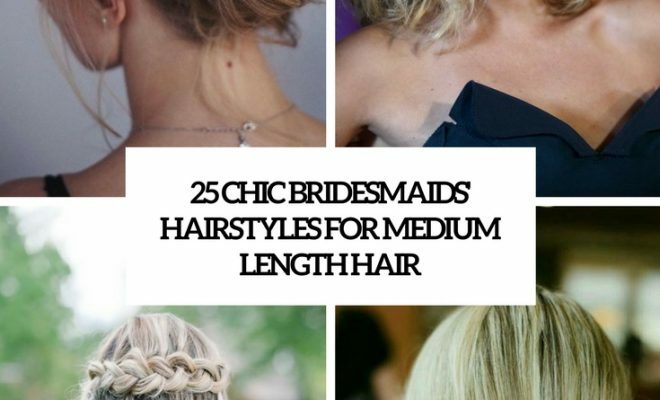 We’ve prepared some cool hairstyles suitable for medium length hair – you’ll be chic! 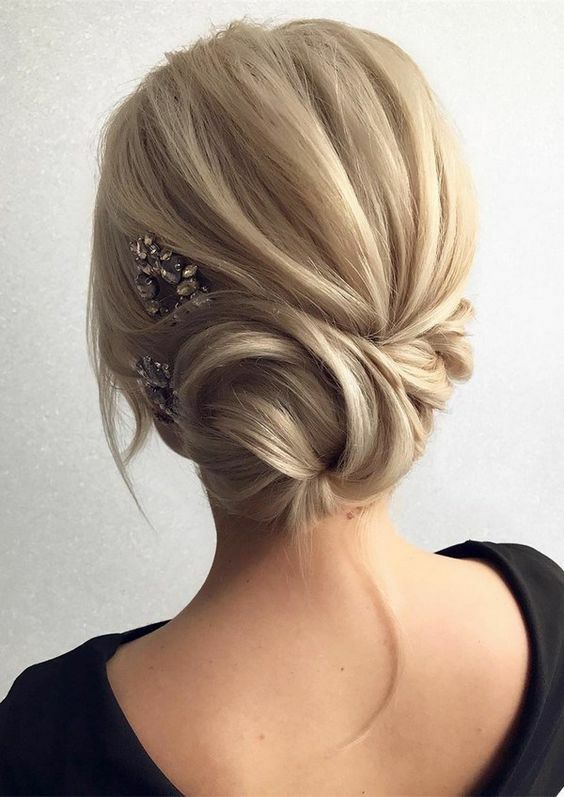 Updos are the most popular hairstyles because they are chic and comfy in wearing, and medium length hair can be done into an updo. 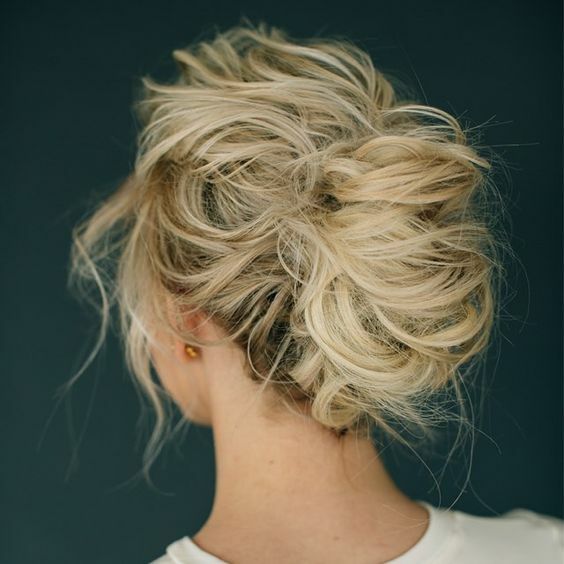 It can be a low bun with twists and maybe pearl pins, it can be a low chignon with a sleek top and some waves down or a loose and messy updo with some locks down for a boho or casual look. 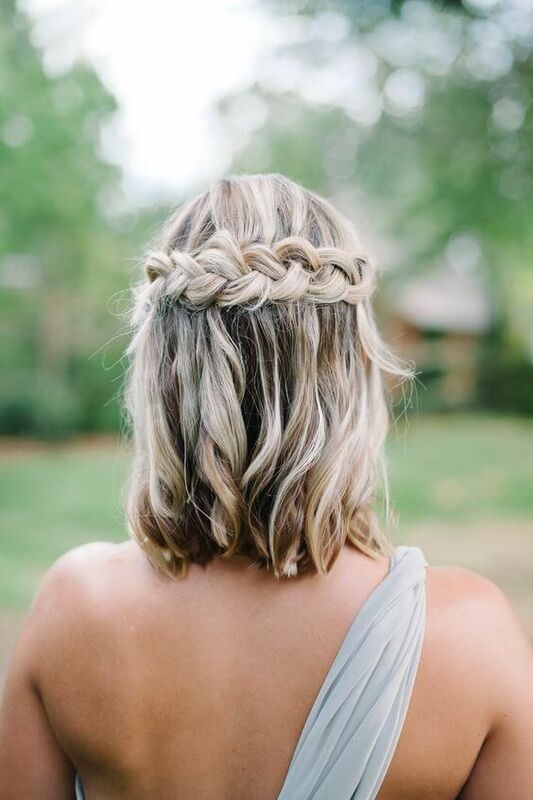 There are many side and low options that are suitable even for short to medium hair length, add a right accessory and you are done! 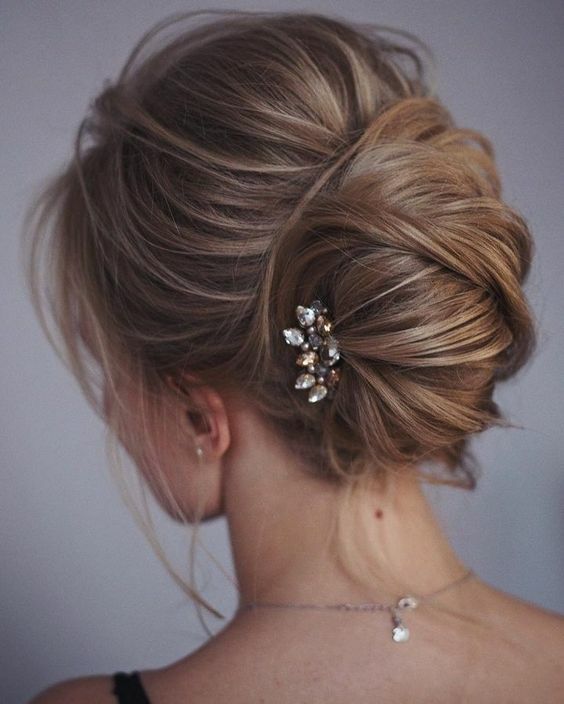 Half updos are a more romantic option than updos and they are easier to fix in case of some problems with the wind, snow or rain. 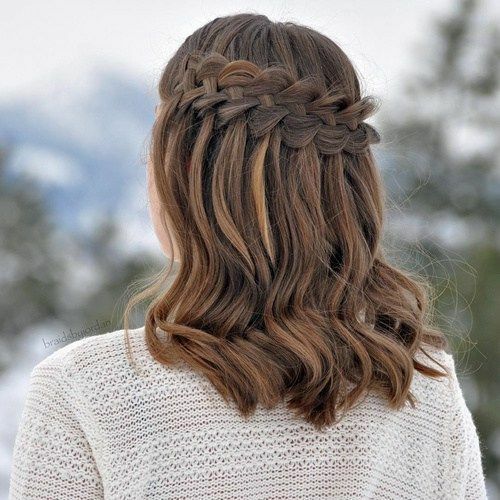 You may go for twisted, wavy, braided half updos and try some buns or waterfall braids. 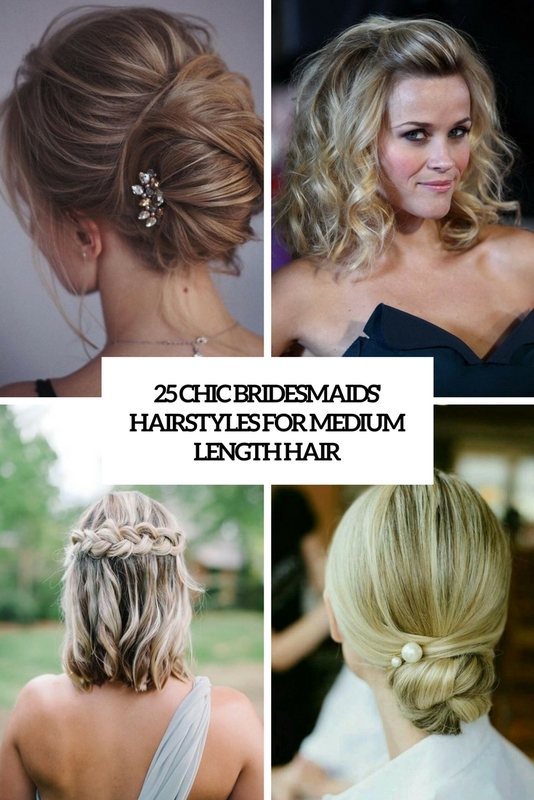 You may find lots of ideas and variants to go for, choose what fits your style best. 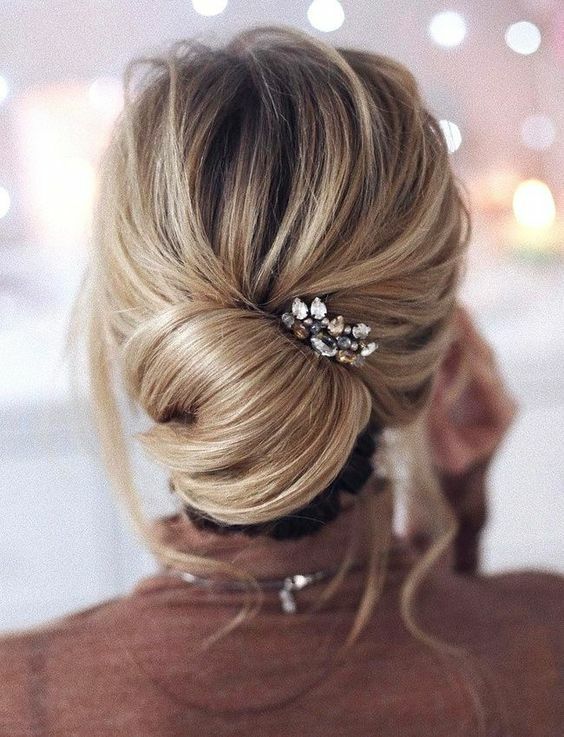 You may say that a ponytail is too boring but it’s not! 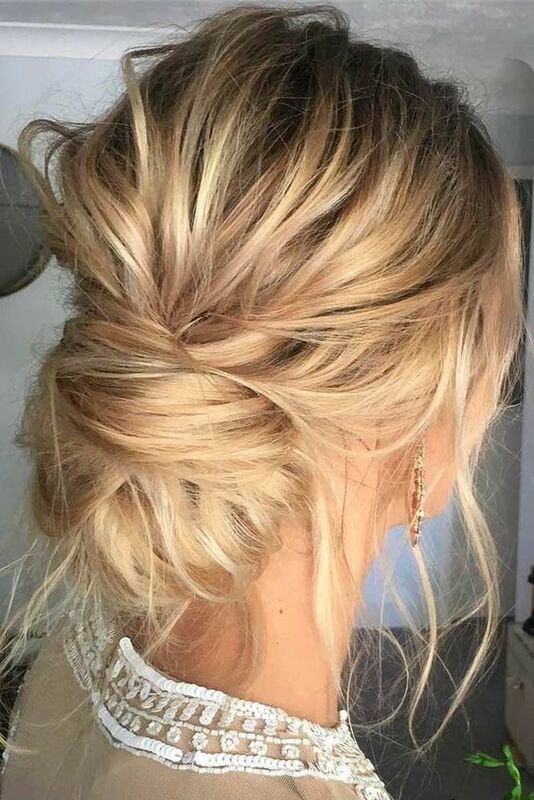 There are many ways to style a ponytail to make it look wow, and various braids, dimension, volume are right what you need to spruce it up. 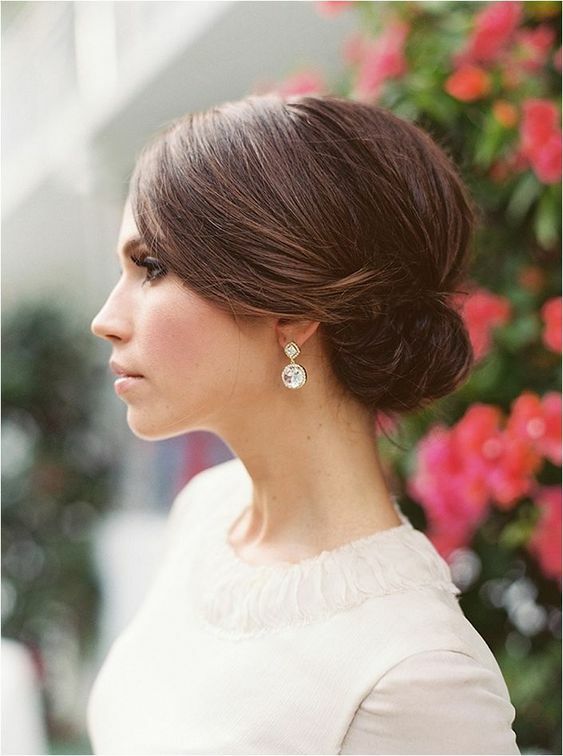 Ponytails are nice for casual and modern weddings and they can also fit boho style. 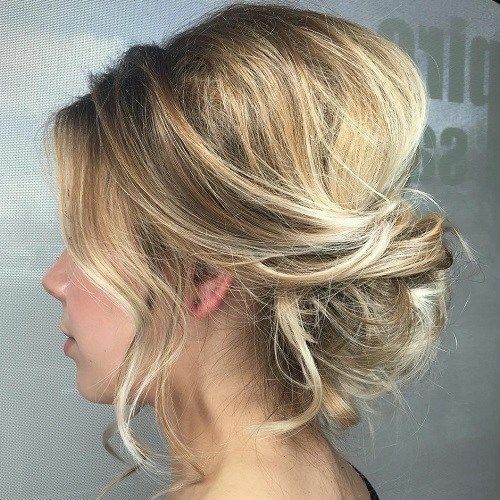 Hair down is classics, there are many styles from vintage waves to modern curls. 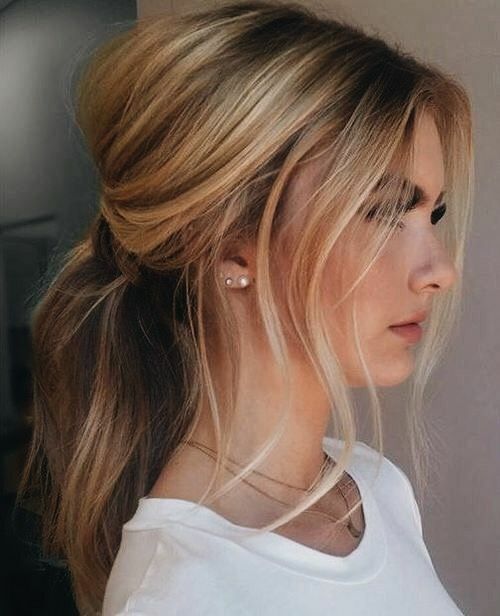 Go for waves and curls that you like and add some volume or dimension, and remember that texture is also necessary to make your hair chic. 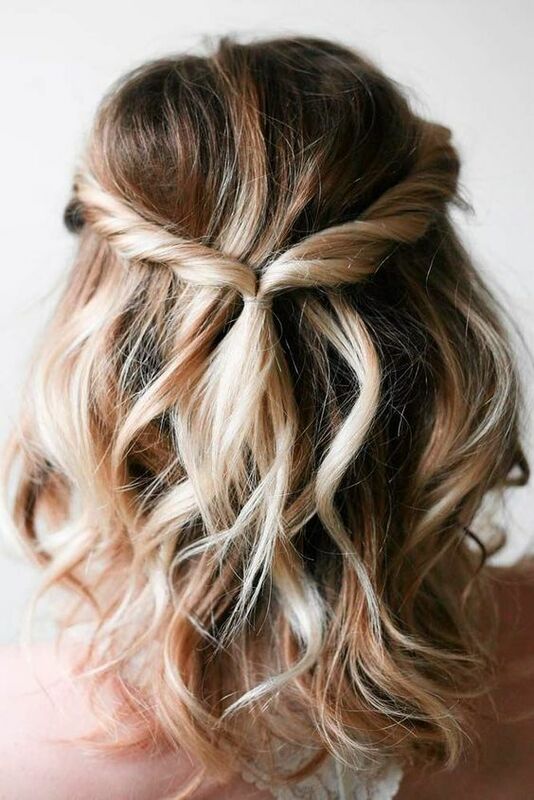 Get inspired by the idea below and have fun!